Clean, fresh drinking water is vital to keep pigs healthy. Groba studied the drinking behaviour of pigs and designed a drinker that provides a continuous flow of fresh, clean water based on these observations: the Grodrinker. 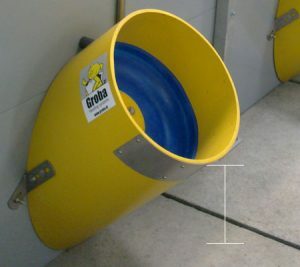 The Grodrinker has been specifically designed for sows housed in groups. 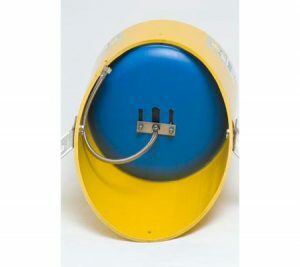 The solid drinker has a round shape, which prevents soiling in corners and seams. The ideal height for the Grodrinker is 400 millimetres. The unique shape has been specially designed to suit the natural drinking posture and drinking behaviour of pigs. The shape virtually eliminates water spillage and no wasted water seeps into the manure pit. This reduces water consumption and achieves considerable cost savings on manure disposal. All these benefits make the Grodrinker an attractive investment. An extra water circuit can be connected easily to prevent freezing. A standard feature of the Grodrinker is the 4 millimetre wide, stainless steel mounting brackets. 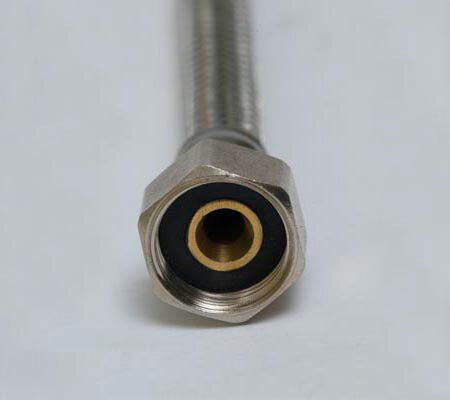 A flexible stainless steel connection pipe for easy mounting can also be supplied as an option. 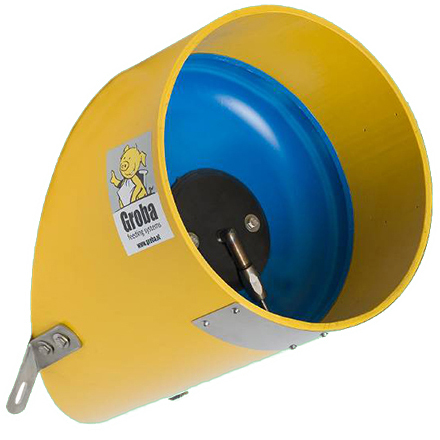 Other Groba products that may be of interest to you: Sow doser, Start-up feeder, or our sow feeder.